Each PowerDeck is custom made to fit YOUR cargo van. 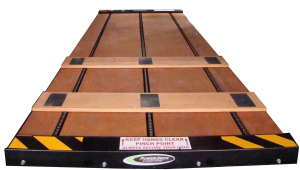 The PowerDeck is an electric pallet handling system that aids cargo van drivers with live floor capabilities aiding in the loading, transporting, and uploading of their freight. Protects the Company – By avoiding just 1 damaged shipment or 1 workers compensation claim will pay for the cost. For more videos about the power of the PowerDeck, click here.